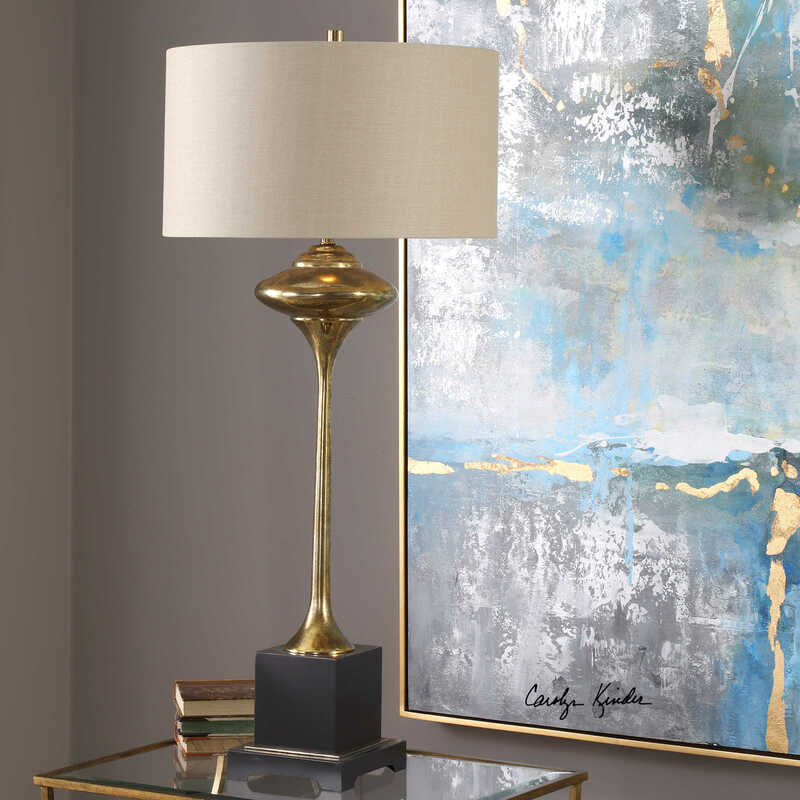 The Christiani Gold Lamp features a delicate cast metal column finished in an antiqued, metallic golden champagne, paired with satin black details. The round hardback drum shade is a light beige linen fabric. Available to trade professionals at Uttermost.com. For retail purchase Google search term “Carolyn Kinder Christiani Gold Lamp”.